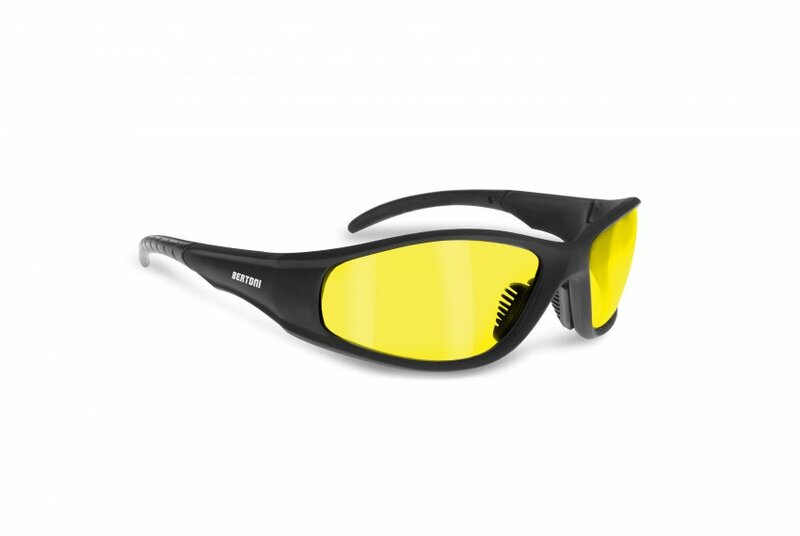 Anti-slip temples in soft polycarbonate for use under the helmet. 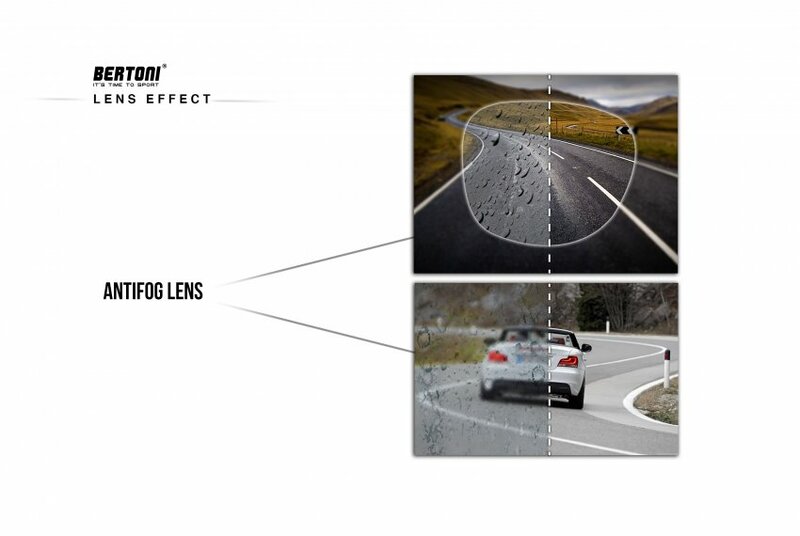 Antifog 2.2mm lenses made by polycarbonate. 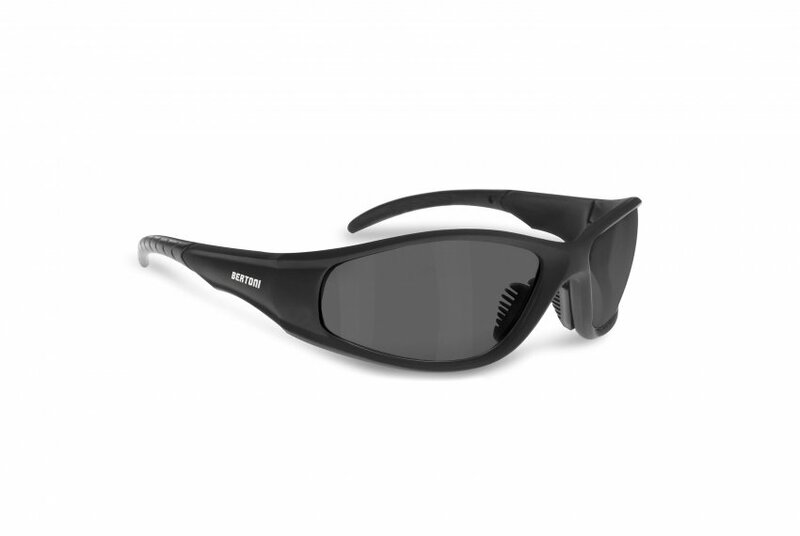 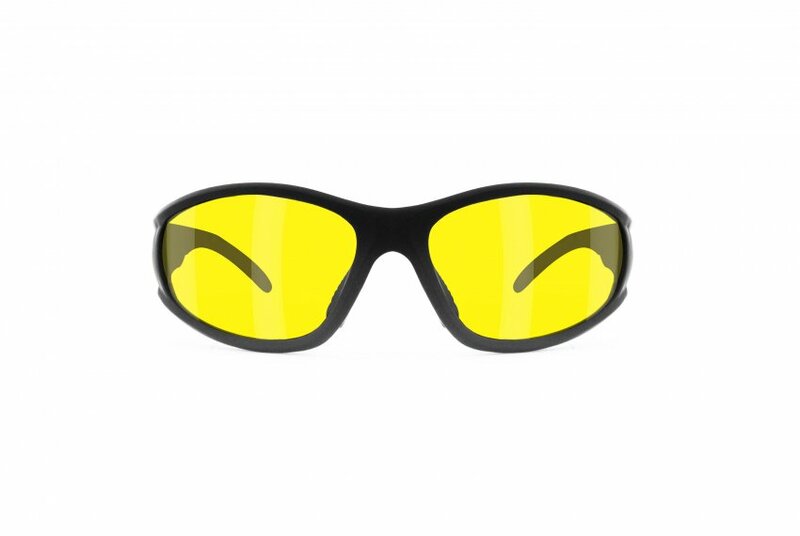 The weight of the glasses, only 23 grams, making them ideal for sports practice, mainly for motorcycle, in complete safety. 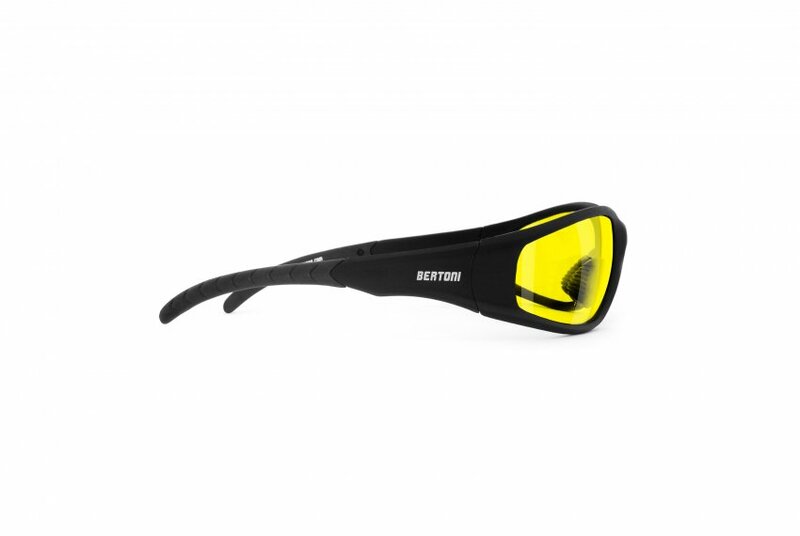 Historical Bertoni sunglasses for motorcycle with anti-fog and anti-scratch lenses. thanks to the polycarbonate lenses with a thickness of 2.2mm, the anti-fog sunglasses AF152 by Bertoni have a unique shock resistance. 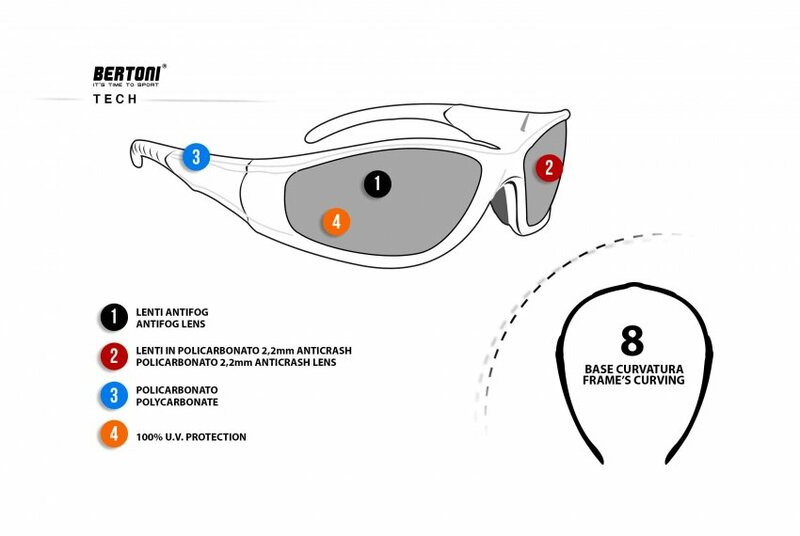 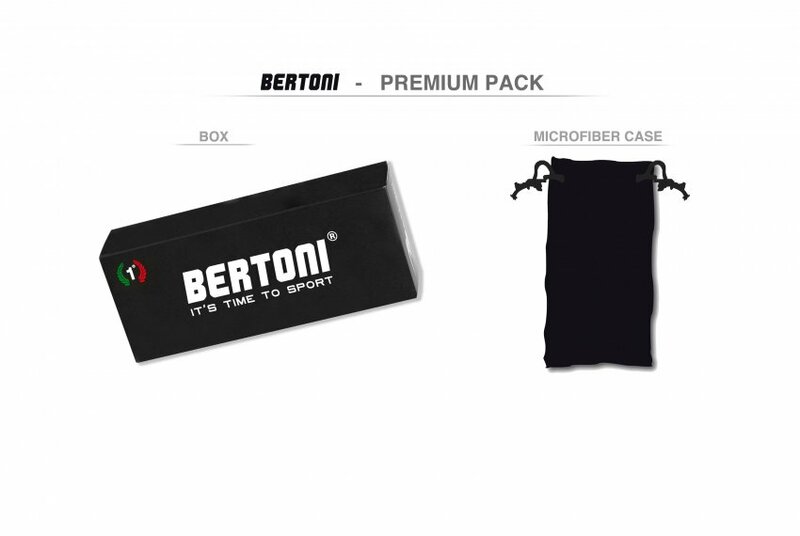 The soft and straight temples allow an easy fit inside the helmets, without the risk of breakage.